Attorney Berdon has represented wholesalers, suppliers, manufacturers, package stores, restaurants and bars since being admitted to practice in 1991. He represents all alcohol industry members before the State of Connecticut DCP, and the Federal TTB as well as in litigation matters in court. He is a partner with the law firm of Berdon, Young & Margolis, PC with offices in New Haven and Branford, Connecticut. Attorney Berdon is also the Executive Director of the Wine and Spirits Wholesalers Association and has served as its General Counsel since 1992. He has been a member of the Advisory Counsel of the Wine and Spirits Wholesalers of America since 2004 and served as its Chairman from 2010 to 2012. Attorney Berdon’s practice also includes representing clients over a wide range of legal issues both transactional and litigation. 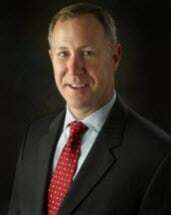 His practice includes representing individuals closely held business, publicly traded companies as well as municipalities such as the Town of Branford (2005-2007; 2014-present) and political subdivisions such as the Pine Orchard Association (2007-2013) and the Branford Sewer Authority (nka the Water Pollution Control Authority) from 2005 to 2007 and 2013 to the present. Attorney Berdon is a 1988 graduate of Duke University (B.A.) and received his Juris Doctorate from the University of Connecticut in 1991. Attorney Berdon is admitted to practice law in the State of Connecticut and is admitted to the United States District Court for the State of Connecticut. He is a member of the American, Connecticut and New Haven County Bar Associations, the Connecticut and American Trial Lawyer Associations and the National Association of Alcoholic Beverage Licensing Attorneys. Attorney Berdon is also active within the Branford and greater New Haven communities through his service as the secretary and board member of the Branford, Education Foundation (2004 – present), member of the Board of Directors of Habitat For Humanity of Greater New Haven, Inc. (’99-’05); volunteer Habitat For Humanity of Greater New Haven, Inc (1991 to present), a member of the Board of Trustees of Congregation Mishkan Israel (Hamden, CT; 2003-present), Trustee of the William Tarr Charitable Trust (1989-present); member of the Branford Representative Town Meeting (1995-1999); Branford Board of Assessors (2001-2003); Branford Board of Education (2008-2009); Branford Youth Lacrosse Coach (2012-present). Attorney Berdon lives in Branford with his wife Nancy, daughter Sarah (age 12), son Joshua (age 11), daughter Sophia (age 8) and a house full of pets.